Instead of ousting her, like most Republicans wanted, the Missouri Senate instead voted to publicly censure State Sen. Maria Chappelle-Nadal. In the resolution, they again called for her to resign and warned that she could still be kicked out later. Fired and blackballed should have been the only acceptable outcome for this disgraced public servant. Anything less is uncivilized. Her not being fired just shows the lack of accountability and discipline that should be held to all our publicly elected servants. JEFFERSON CITY • State Sen. Maria Chappelle-Nadal faced her Senate colleagues Wednesday for the first time since she expressed hope for the assassination of President Donald Trump in an August Facebook post. The upper chamber voted overwhelmingly to censure the University City Democrat in what amounts to a formal reprimand. Majority Floor Leader Mike Kehoe, R-Jefferson City, said the censure was the first in Missouri Senate history. 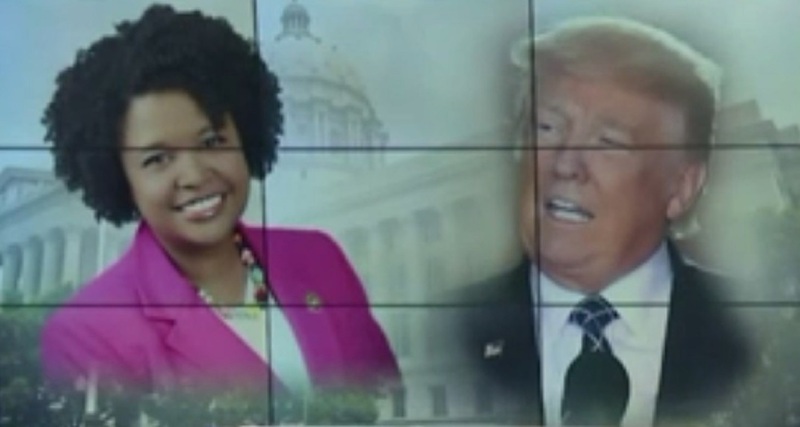 TGP: Missouri State Senator Maria Chappelle-Nadal hoped for the assassination of President Trump in a Facebook comment in August. She then deleted the tweet in a panic. 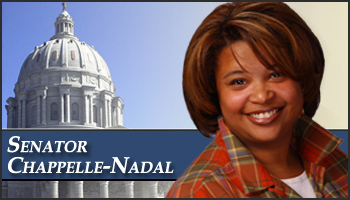 Chappelle-Nadal even acknowledged she would get a visit from the Secret Service when she posted her comment. Then Chappelle-Nadal tweeted out a Holocaust threat to Jewish Missouri Governor Eric Greitens. Missouri Lt. Governor Mike Parsons told Senator Chappelle-Nadal to step down or be removed from office. Even the Missouri Democrats turned on her. Sen. Maria Chappelle-Nadal was removed from her committee assignments. But Chappelle-Nadal will keep her job. She is a Democrat, after all. Only Republicans resign after offensive tweets. FOX News reported the Missouri Senate voted to officially censure one of their lawmakers on Wednesday for a comment she made in August on Facebook hoping for President Trump’s assassination.